While enjoying a quiet dinner for two at Lake Eden Inn, Ross and Hannah are treated to a new holiday dessert Sally is considering serving at the inn. Afterward, Hannah recalls the story of last year’s Christmas and its deadly surprise. What should have been a time of joy, quickly turned into a thoughtless decision on Mayor Bascomb’s part. “Hoo Hoo Hoo” turned into “what in the world” when the mayor hired his lover and had her reassigned to work in the town marshal’s office when his wife learned about it. The mayor’s actions caused more than a little tension in Hannah Swenson’s business partner’s home. Lisa’s husband, Herb, once dated the mayor’s lover, Phyllis. So now one wife is angry and the other is concerned. To further the tension, the mayor appointed Phyllis to be Mrs. Claus, when Lisa should have been. Quick thinking has Lisa volunteering so that she and Hannah can double their order of goodies for the children, from Santa, and to sell goodies during the Lake Eden Players Christmas play. During a rehearsal, Lisa and Hannah are both present and witness what in reality should be a stage kiss from Mrs. Claus. But it turns out to be a real kiss. This upsets Lisa. She leaves the auditorium as its her husband Mrs. Claus kissed. Hannah knows the best thing she can do for Lisa is to keep her busy so she doesn’t think about what she saw. After working on the gift bags, Hannah suggests they eat dinner at the Corner Tavern. Lisa doesn’t show up right away. Later, they call it a night and head to their cars. That’s when Hannah’s intuitive alarm kicks in and she finds a Santa’s hat and a body in the snow. The dead woman is Mrs. Claus and everyone’s guessing who might have killed her. Christmas Caramel Murder is a fast read and another one of those books where you think you know who did the dark deed and damn if the author didn’t choose someone else. I try to read every Hannah Swenson mystery Joanne writes because her characters, even her cat, are so familiar to me, sometimes a little too sweet, but you gotta love them. If anyone can solve a murder, and she does it without tech gadgets, its Hannah. As a season shorter length mystery, I like that it incorporated something that is usually so innocently represented, Mrs. Claus and a kiss, and made it the reason for murder. For the most part, the majority of Hannah’s books have a bakery product, as the cause for murder. Not this one. She cleverly has you thinking there has to be two characters who had a good reason to want the mistress out of the way for good. What’s really scary here is the guilty party could have been stopped, but sometimes that’s a hard call to make. PS: After reading this book I had to run out to Trader Joes to get Dark Chocolate Caramels..no kidding. Hannah Swensen is counting the days until she becomes Mrs. Ross Barton. If life wasn’t hectic enough for the Cookie Jar owner, she also has to dig deep in her family recipes for the best desserts to compete in the Food Channel’s dessert chef contest. She’s trying her best not to be nervous, but she and her sister, Michelle, are headed to New York for the first part of the competition and being shown live on television is a challenge even for the professionals. Ross and the TV station upgraded transportation, flight seating, and their hotel rooms. He’s accompanying them along with Lonnie, a cameraman, so they can cover the Swensen sister’s culinary efforts for WCOW-TV. The cameras are on and the competition is fierce. Hannah, who is a self-taught baker, is up against experienced chefs. Though, her competitors: Brooke Jackman, Rodney Paloma, Gloria Berkeley, Loren Berringer, don’t know desserts like Hannah does. So when it’s time to be judged by Alain Duquesne, Christian Parker, Jeremy Zales, Helene Stone and LaVonna Brach, Hannah and Michelle whip up what is considered one of the most difficult desserts there is to make and a unique cake. To their surprise, they win the first and second round which is the Hometown Challenge. That means the show’s producers and contestants are flying to Lake Eden, Minnesota to film in Hannah’s town. But even new celebrities have to practice every step of the way to keep up with the high bar the judges have set. So after arriving back home, Michelle and Hannah head out to Lake Eden Inn where the second portion of the show is going to be recorded. They want to work through the preparation so they go to Sally’s inn to work out every step of the dough. There’s one thing they didn’t anticipate in their recipe, finding one of the judges stone cold. Of all the JoAnne Fluke Hannah Swensen novels, I enjoyed this one the most. It was more complex in Hannah’s investigation of the relationships of the contestants and judges. Planning for a wedding is difficult enough. Add into the mix that she and Michelle were contestants in a bakery chef competition and she clearly has her hands full. I see WEDDING CAKE MURDER as a character driven book which never fails to entertain. With so many titles in the series, it’s like welcoming an old friend to dinner. Hannah’s life moves forward and you’re along for the ride. The storyline moved at a quick pace keeping me interested. I didn’t find any unresolved plot lines. Figuring out who the guilty party was, wasn’t easily solved. 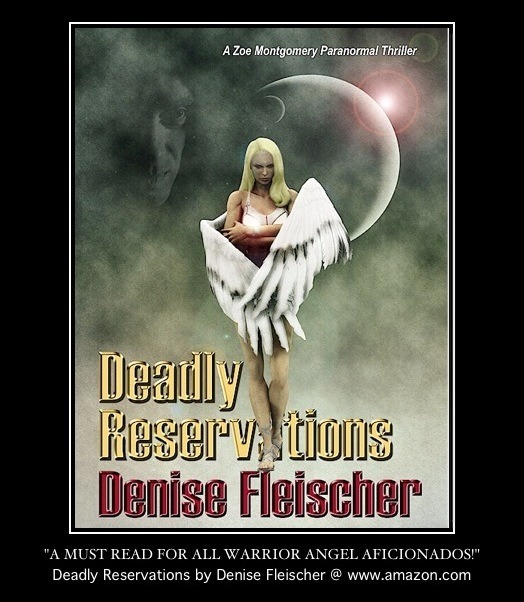 The characters are well developed and you can relate to their experiences. There’s more than enough happening to keep your attention. The recipes are an added bonus. A little disappointed that the biggest day of Hannah’s life wasn’t more drawn out. We’ve waited so long for her to get married. Wanted to sit back and enjoy the moment. Book setting: Lake Eden, Minn. This is a time of celebration and change for Cookie Shop owner Hannah Swensen. But the joy of her mother’s Las Vegas wedding is short lived as Hannah must now face the reality of a trial for killing a man during a storm and finding the body of a judge in his chambers next to the weapon that silenced him. What an ironic place to be killed in a hall of justice. While Hannah is trying to decide if she should marry Mike or Norman or give another relationship a chance, she also feels compelled to find out who murdered the well-respected judge. Hannah begins her investigation by speaking to a clerk, who assisted the murdered judge. She learned what the judge did for her before he died and that one of the lawyers, who comes to the courthouse, has a temper. Makes you wonder if he’s a suspect. The question is who murdered the judge? Was it the judge’s widow, Nora, ex-wife Sheila, his son, Seth, or his former mistress, Margaret? I was just wondering where the judge had time for all these women in his life. As always Hannah is never afraid to do what she must to find the truth. Everyone thinks they are innocent and that they know the truth. Anyone of the women in the judge’s life could have wanted a bigger slice of his financial pie. The man was beyond his prime and greed makes one wonder about wills. But there is also the element of the unknown clue or individual. This is the one that hits you in the face and makes you lose your balance momentarily. I’m not going to tell you what happens. Read the book and find out. As for who Hannah decides to spend the rest of her life with, all you reviewers get over it. A woman, even a fictional character, can make up her own mind. The only thing that I didn’t like was Hannah’s trial was dismissed as if it was nothing. That’s not how it would be in real life. Hallmark Movies & Mysteries announced that it will launch an original movie franchise starring Alison Sweeney and Cameron Mathison and based on Joanne Fluke’s bestselling Hannah Swensen culinary mystery series. “Chocolate Chip Cookie Murder,” the first film in the Hallmark Movies & Mysteries original series, is scheduled to premiere on May 10, 2015. Sweeney will play Hannah Swensen, owner of a sweet shop where much of her small town’s gossip percolates along with the strong coffee. When a mysterious murder occurs, Hannah turns into a culinary detective and finds herself trying to solve the crime while getting caught in an unexpected romantic mystery of her own. The former “Days of Our Lives” actress recently starred in the network’s made-for-television movie “Second Choices,” which was one of Hallmarks’ highest rated original movies ever. Mathison, known for his role on “All My Children” and recently seen in Hallmark Movies & Mysteries’ “Along Came a Nanny” and Hallmark Channel’s “The Christmas Ornament, will co-star as a possible love interest to Hannah Swenson. Joanne Fluke commented on the upcoming movie. “Chocolate Chip Cookie Murder” is produced by Brad Krevoy Television and Stephanie Germain Productions, with Brad Krevoy, Stephanie Germain and Eric Jarboe as executive producers. 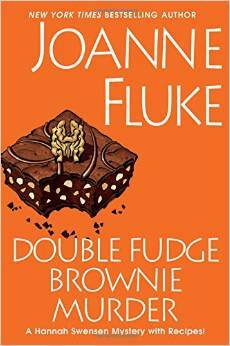 Joanne Fluke’s Hannah Swensen Mystery Series debuted fifteen years ago with “Chocolate Chip Cookie Murder.” The 18th book in the series, “Double Fudge Brownie Murder,” was released in hardcover by Kensington Publishing on Feb. 24, 2015. 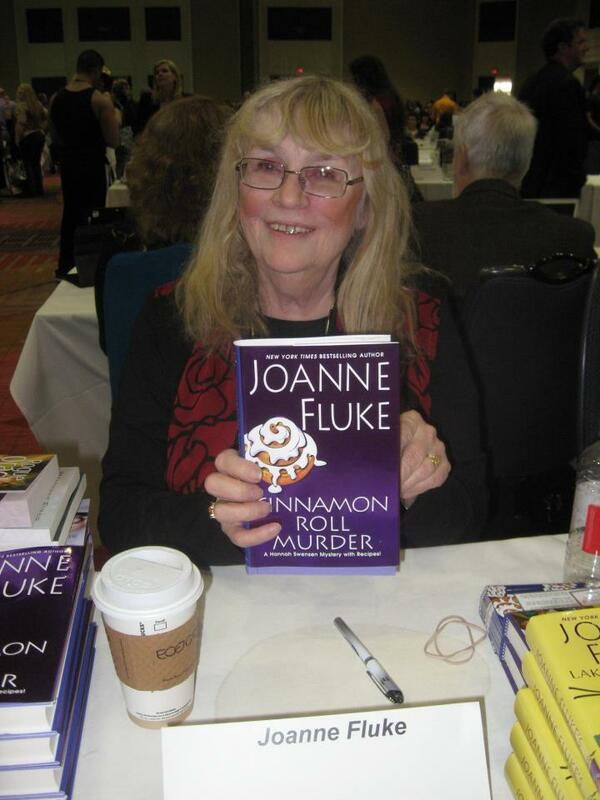 Fluke is touring nationally to promote the book launch and her event dates can be found at www.JoanneFlukeMysteryParty.com. 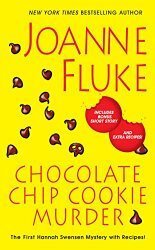 Joanne Fluke is the New York Times bestselling author of the Hannah Swensen mysteries, which include “Double Fudge Brownie Murder,” “Blackberry Pie Murder,” “Red Velvet Cupcake Murder,” and the book that started it all, “Chocolate Chip Murder.” Like Hannah Swensen, Joanne Fluke was born and raised in a small town in rural Minnesota, but now lives in Southern California. Visit Joanne online at www.JoanneFluke.com.